It’s Kong’s birthday, time to celebrate!! Come celebrate Kong’s birthday at Macey’s from August 3 – 8. There will be fun activities daily, birthday cake samples and a kong kone eating contest. Think you have what it takes to master the kong kone? Kong cutout photos – get your photo taken as Kong. Share your photo with #kong for a chance to win a free kong kone shirt! 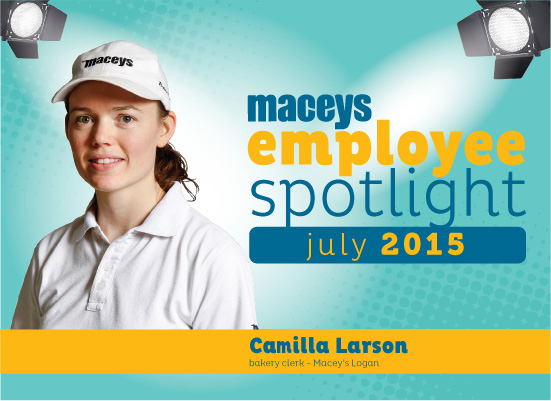 This month’s Employee Spotlight is on Camilla Larson, Baker Clerk at Macey’s Logan. Camilla exemplifies teamwork and guest service. She continuously goes above and beyond for guests and creates an environment that guests want to keep coming back to. Congratulations to Camilla Larson, the Macey’s Spotlight of the month! Camilla grew up shopping at Macey’s. When she found her love of cake decorating, she decided to pursue a position at the Macey’s bakery. She started with Macey’s at the Provo location. Five years later, she is the Bakery Clerk at Macey’s Logan. Macey’s runs in her family, her husband currently also works at the Providence location. Camilla exemplifies what guest service should be. She is always smiling and anytime she asks me a question it is in regards to how she can solve a guest request or else a suggestion on how to make the store or Bakery Department better. If I could clone her I would. I never have to worry about how the bakery is running while she is on shift; she is willing to do anything that we ask. Camilla is very passionate about her work and is very detail-oriented. Ensuring that the bakery order is right is very important to her; she does not want to let any of the guests down. She helps out all over the bakery and is currently learning doughnut frying. However, her favorite part of the job is decorating cakes. She frequently goes above and beyond during her closing shift and decorates the next day cake orders. The normal decorators leave at 12 so her initiative to get the cakes decorated is truly an asset to guests. Looking for something fun to do with the kids? Macey’s Pleasant Grove is holding a carnival in their parking lot on July 16-18. Macey’s has partnered with Seven Peaks to offer a free carnival to Pass of All Passes holders. Don’t worry though if you don’t have a pass, you can still purchase wristbands or individual tickets at the gate. Come join us for rides, inflatables and games! Stop into Macey’s after the fun for a kong kone. 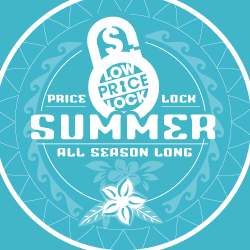 We want you to have the best summer ever which is why we’ve locked down prices on the items you use the most for our summer low price lock. Available now until September 6, check out all of the items listed below. 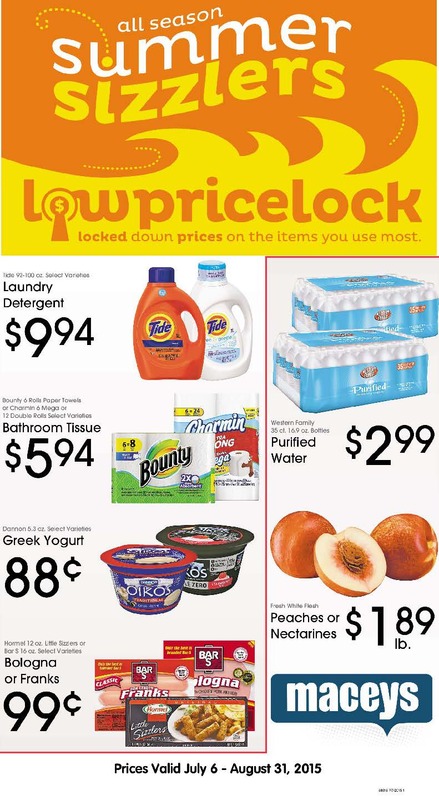 Low Price Lock is our seasonal price program that locks down prices on the items you use the most. The prices are changed out every 8 weeks and follow the seasons winter, spring, summer and fall and holiday. 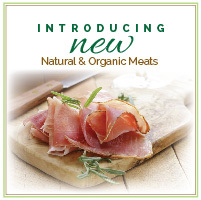 Natural and Organic Deli Meats are now available, providing shoppers with more options than ever. Priding themselves on humanely raising antibiotic free meats, Applegate strives to change the food system through eaters, farmers and innovators. Committed to sustainable agriculture and animal care through their co-op family of ranchers, Mountain States Rosen Company maintains “best in class” products for conscious shoppers. 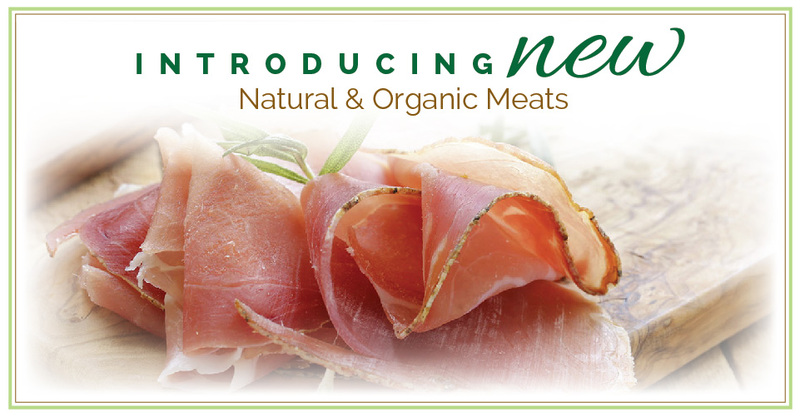 With a strong commitment to quality, value and innovation, Hormel commits to their customers a top-notch product that is delicious as well as conscious. Committed to producing safe, high quality fresh chicken, Smart Chicken is both certified organic and certified humane by Humane Farm Animal Care. Beginning with the belief that sustainable farming practices and human treatment would produce happier animals, Laura’s Lean Beef started as a commitment to healthier meats. Recognized as a leader in turkey, Jennie O is committed to innovation, offering over 1500 products that are recognized responsibly. Providing shoppers with a variety of options is of the utmost importance. We hope that you are as excited as we are to try these new brands! Sign up for baby club today and start receiving valuable offers each month that will help you stretch your budget a little further. Be sure to watch your email for our monthly email with exclusive offers and promotions. This is the month of celebrations, fireworks, picnics and parades as we recall the wisdom and patriotism of our founding fathers, as well as the fortitude and determination of the pioneers who pushed westward to forge this great nation, from East to West. It was their vision and hard labor that helped make America the great nation it is today. With their own hands, those hearty people produced all that they ate. But more importantly, they knew the value of storing some of that food for winter and for emergencies. So in addition to those things they needed on a daily basis, those hearty souls stockpiled enough to see themselves through the “hard times,” a practice we have almost completely abandoned in our day and age. Thanks to modern food production, most of us don’t grow and store our own food. We have great Macey’s supermarkets that provide us all we could ever want or need in the way of food. For that reason, we have ample for our needs at all times. Over time, the great abundance we enjoy has allowed us to forget the wise practice that served our forefathers so well. We’ve forgotten how important it is to store food against hard times, shortages and disasters. This is a reality with which our forefathers lived, one we have mostly abandoned. Yet, it’s still a reality today, as anyone who has been trapped in a crisis will tell you. Natural and manmade disasters happen all the time. But Macey’s hasn’t forgotten this vital lesson. Not by a long shot. Along with everything else we offer you, we include important food storage items on our shelves for your convenience. Like all our other fine offerings, we stock only the best in emergency food products from Augason Farms and National Geographic Live Prepared. We know how important a supply of emergency food and gear is, even in our modern world. So we include them in our stores in hopes that our customers will take advantage of the lessons our forefathers learned in everyday life: Have enough food on hand, in your home, to see you through hard times, temporary shortages and disasters—natural or manmade. At Macey’s, we take our job seriously. We have your welfare at heart. We feel it’s our obligation to see that we offer only the finest products for you and your family. For that reason, we not only stock the best of practically everything you need in the way of food, but we also stock the best in food storage. 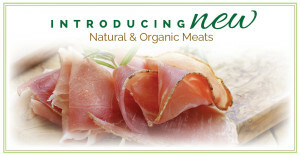 That’s why we offer the fine products from Augason Farms and National Geographic Live Prepared. Life turns on a dime. We at Macey’s know that emergencies can and do happen, though we hope it won’t happen to you. We know you might have to depend upon what you can find on your cupboard shelves at home. That’s why we urge you to include emergency food storage in your family budget. What if the time came when you couldn’t get to a Macey’s? The solution to such a dire situation is food storage in your home. And the best food storage comes from Augason Farms and Live Prepared. So this month, let’s pledge our allegiance to the memory of our forefathers and the legacy they left us. For your well-being and peace of mind, Macey’s, Augason Farms and National Geographic Live Prepared suggest you keep a supply of food storage on hand at home to see you and your loved ones through in any crisis. Cover potato slices with water. Soak for 15-30 minutes until tender. Drain and dry with paper towel. Lightly grease a 9×13 baking dish. Brown potato slices in a nonstick skillet. Pour into bottom of baking dish. Warm broccoli in skillet, then layer over potatoes. Warm ham and sausage and layer over broccoli. Mix together cheese and eggs, then pour over mixture. 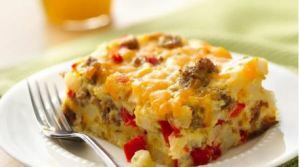 Bake at 350° F until eggs are set, 30-40 minutes. Serves 12. We’ve locked down prices on thousands of items that you use most! Including items that are your family favorites. 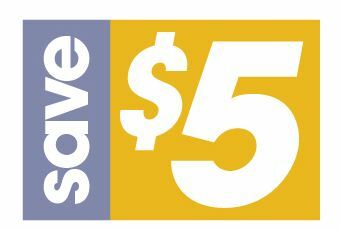 These specially priced items are changed out every 8 weeks for the best prices for season! Look for these signs in-store when shopping for your favorite items. The items change with the seasons; winter, spring, summer,fall and holiday. 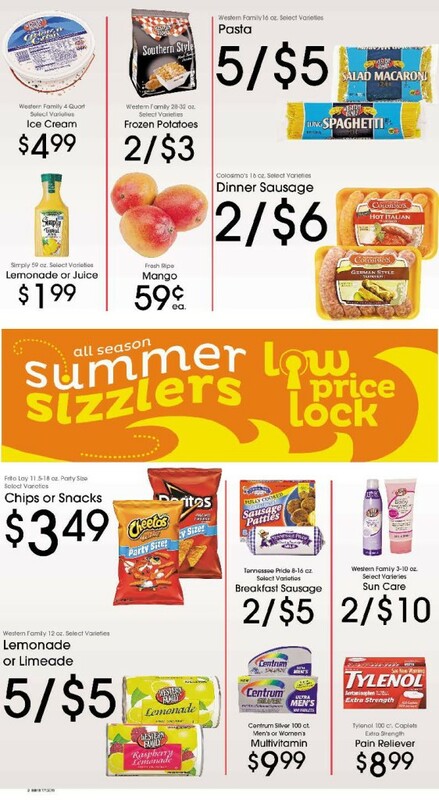 Keep checking the weekly ad and in-store signs to find the low price lock down on your favorite items.